When selecting your estate agent there are various points to consider. Make sure the estate agent valuing your property is focusing on what they can do for you, not telling you what another estate agent can or cannot do. This could be a sign of bully-boy tactics or simply a general lack of experience in the area, it is certainly not very professional. There’s little doubt the long established estate agents in your area can all do a job for you, otherwise they wouldn’t still be here. Just make sure the person seeking your business knows what they are talking about and doesn’t run out of ideas of information about their own services. Their focus should be on you and your property. How Long do They Need? Most estate agents will require some degree of commitment from you, after all you wouldn’t want them rushing to find any old buyer through fear of an early dis-instruction. On the other hand, do they really need 6 months or more in order to prove their worth? Make sure you agree a timescale you feel comfortable with, and never sign an agency agreement unless you understand the notice arrangements and how long you are “really” tied in for. Sole Agent, Multiple Agent or Sole Selling Rights? There are several types of estate agency agreements/contracts. The most common being the sole agency agreement whereby you appoint one agent to act in the sale of your property. Watch out for a sole selling rights agreement, which is far more restrictive and of no benefit to you the seller, only of benefit to the agent. Multiple agency is usually more expensive and many sellers make the mistake in thinking it will help the chances of achieving a better result. In fact, to a buyer it can give the impression of a property that is having, or has previously had problems selling, perhaps due to hidden problems. Whilst every seller wants to achieve the best possible price, care should be taken to ensure the agent is not overstating the price in order to gain your instruction, especially if they also seek a long tie-in period. Check on-line to see if the agent has a reputation for lowering their asking prices. 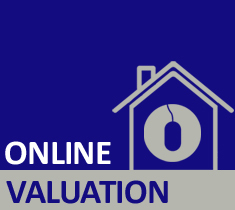 The easiest way for an estate agent to win business is by giving an overinflated valuation. They may seek a price reduction midway into a lengthy agency agreement. At best you sell after the price reduction kicks in; at worst you may end up selling for less having lost the impact a property has when it first comes to the market. Undervaluing can also be a problem so make sure you deal with experienced professionals with good local knowledge and reputations. Putting your property on the market is the first step of what can be a lengthy process, ranging from several weeks to several months. Be sure to establish your main point of contact and understand who else will be involved in the various stages of the selling process. It’s important you feel comfortable with the person looking after you later in the process. "Williams Estates were amazing. They kept us up to date with everything going on and kept me sane throughout! Massive thank you to Karen, Zoe and Hannah for helping us to be living in our dream home. I would recommend to anyone looking to sell or buy a home."